I have been collecting postcards of New York City architecture for about a year or so. My latest acquisition is the "Singer Building, Broadway, New York," at the corner of Broadway and Liberty Street in Lower Manhattan, which was the headquarters of the Singer Manufacturing Company. The 47-story 612-foot building was the tallest building in the world from its completion in 1908 until the 700-foot Metropolitan Life Insurance Company Tower claimed the highest honor in 1909. 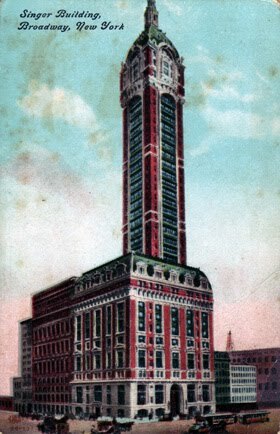 In 1968, the Singer Building was the third tallest structure ever demolished. 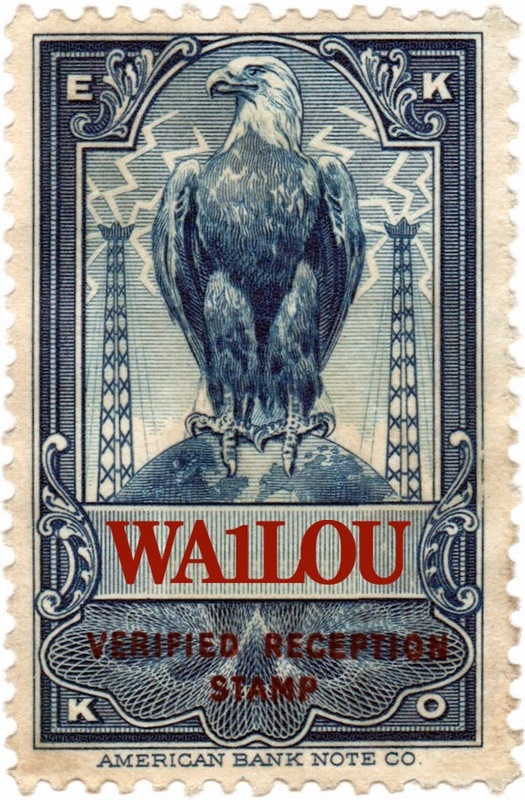 The postcard I acquired was unused, so there is no postmark to date it. But it is a "divided back" style postcard that was popular from 1907-1914, which makes the postcard 100 years old more or less. I recently "discovered" the Singer Building while watching some old movie footage of New York City and I wish it were still around... It really was a beautiful building. I loved the architecture and it is kind of a shame that it couldn't be preserved. I understand that its former site is very near what is now Ground Zero. Something to think about, if only for a moment, on this anniversary. A few days ago I found on the Internet some very valuable information and photos on the building's construction and decoration... Kind of like learning about the Alexandria lighthouse... It may be gone, but it doesn't make it any less fascinating to me. I am glad you found such a beautiful postcard and thanks for sharing it with us. Judy --- Thank you for your comments. The Singer Building was one block southeast of the World Trade Center. The building must have famous in its day because I recall its image in an old Warner Brothers' cartoon; the joke was that the building began singing. Surfin: Snow -- Is There an App For That? Surfin’: I Tune, Do You? Surfin’: QRP Is For You?